'Start Here': New Kavanaugh allegation, UN General Assembly begins and O'Rourke debates Cruz in Texas. What you need to know to start your day. The New Yorker published new allegations from a new accuser Sunday night, saying Supreme Court nominee Brett Kavanaugh mistreated her during his freshman year at Yale. ABC News' Trish Turner outlines the new allegations, and ABC News Supreme Court contributor Kate Shaw tells us that the senators should not be looking for the same kind of evidence from Kavanaugh's first accuser when she testifies on Thursday. President Donald Trump will have a lot on his plate this week besides a Supreme Court pick. 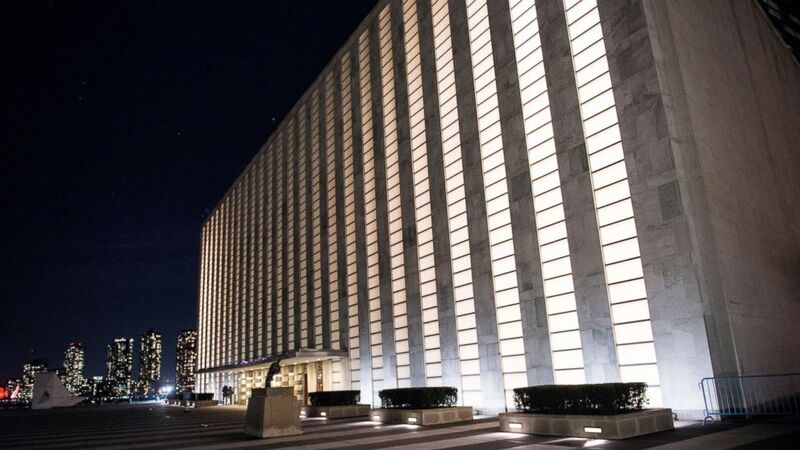 He, along with dozens of other world leaders, are coming to New York for the United Nations General Assembly. The president will speak Monday about cutting drug supply chains and Tuesday he will give a big speech to the General Assembly. ABC News’ Conor Finnegan says all eyes will be on Trump to see how he interacts with world leaders. (Noam Galai/WireImage via Getty Images, FILE) A view outside the United Nations Headquarters in New York City, Dec. 12, 2016. 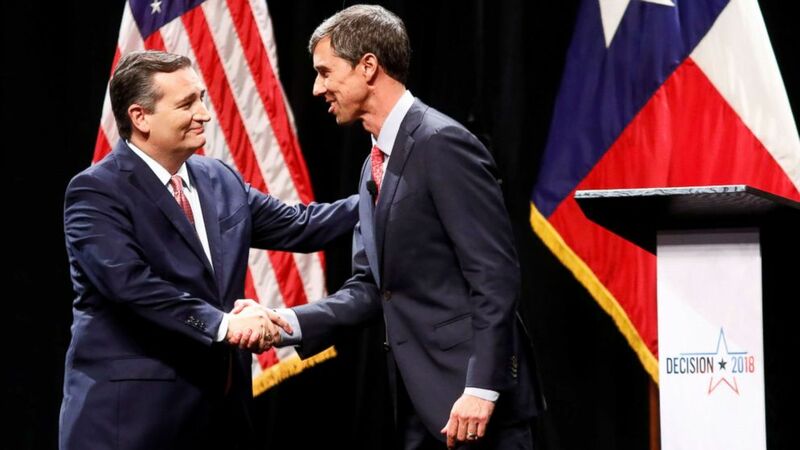 Republican Sen. Ted Cruz debated Democrat Rep. Beto O’Rourke Friday in the first of three closely watched Texas Senate debates. Clare Malone from our partners at FiveThirtyEight tells us that while Cruz is still the favorite, O’Rourke is winning over voters with his charm and likability. (Tom Fox/The Dallas Morning News/Pool via REUTERS) Sen. Ted Cruz and Rep. Beto O'Rourke shake hands after a debate for the Texas Senate seat at the Southern Methodist University in Dallas, Sept. 21, 2018. Trump ally: Roger Stone sought contact with WikiLeaks' Julian Assange, email suggests: As the special counsel’s office appears to be focusing in on President Donald Trump’s longtime political ally Roger Stone, an email recently obtained by ABC News suggests Stone sought contact with WikiLeaks publisher Julian Assange during what may have been a critical moment in the 2016 campaign. Assault extradition: 3D gunmaker extradited back to Texas to face charges of sexual assault of teen girl: Cody Wilson, the controversial 3D gunmaker, was extradited to the United States from Taiwan and appeared in a Texas courtroom Sunday on felony charges of sexually assaulting a 16-year-old girl. Shark bite: American tourist severely injured in shark attack while spearfishing in Bahamas: An American tourist suffered a severe injury when she was attacked by a shark while spearfishing in the Bahamas Sunday afternoon, according to authorities. The unnamed Massachusetts native had “severe trauma” to her left hand, and was flown by air ambulance to a hospital in Florida. Football death investigation: Release of report into death of Maryland football player lacked 'sensitivity': Lawyer: The long-awaited release of a report commissioned by the University of Maryland into the death of one of its football players wasn't shared with the teenager's family until the night before it was publicly released, a lawyer for the teenager's parents said Saturday. Hassan Murphy, who is representing the parents of Jordan McNair, said the family found out only through media reports that the report was going to be released Friday. Missing child: Boy, 6, vanishes during park trip with parents: A massive search effort is underway in southwest North Carolina where a young boy with autism vanished over the weekend after going to a local park with his father. The search for 6-year-old Maddox Ritch ramped up on Sunday as the FBI joined more than two dozen local and state law enforcement agencies to look for the boy, who was last seen at a park in Gastonia, North Carolina. 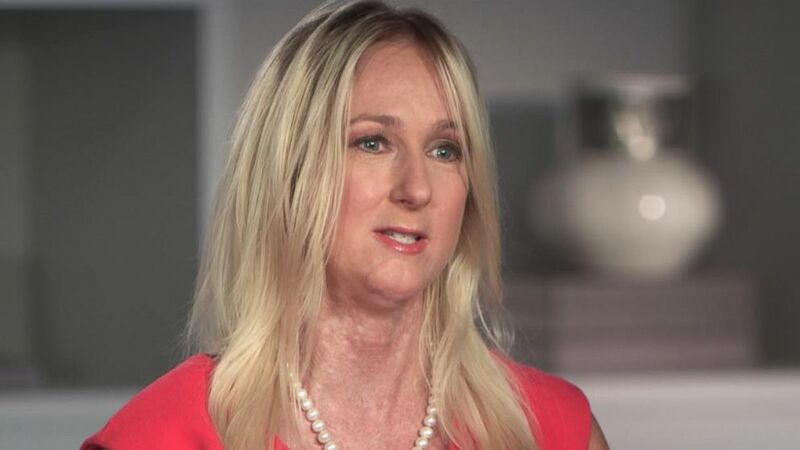 '40-Year-Old Virgin' actor's ex reacts to parole: 'I'll always have to watch my back': Kendra Beebe says she doesn't feel safe after her former boyfriend, Shelley Malil, was released after serving twelve years of a life sentence for attempted murder. 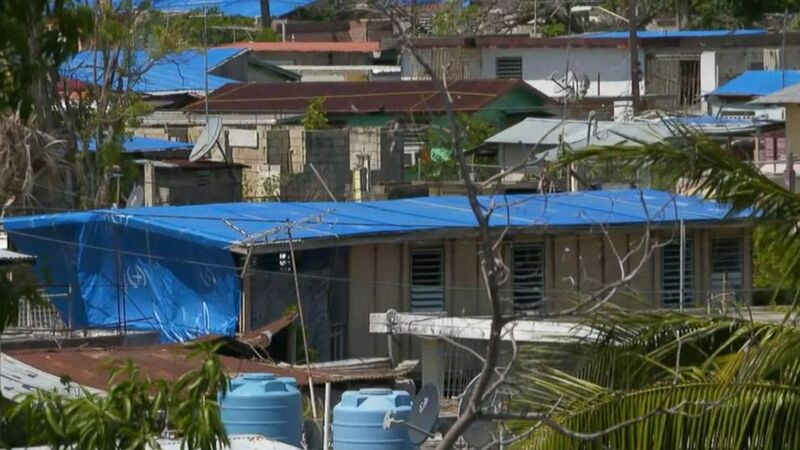 One year after Maria: On the ground in Puerto Rico as recovery efforts continue: ABC News' "Nightline" returns to Puerto Rico, which is still recovering, a year since Hurricane Maria devastated the area. Sept. 24, 1789 -- The first Supreme Court of the United States, made up of six justices, was established on this day. The Judiciary Act of 1789 was passed by Congress and signed by President George Washington. 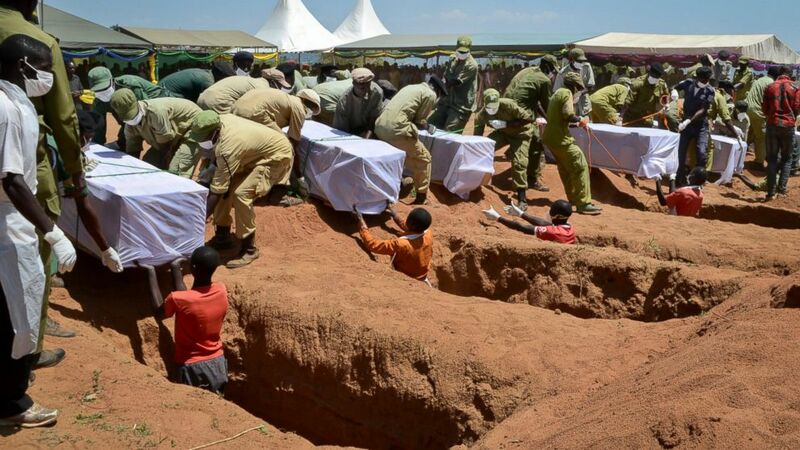 (AP) Coffins of some of the victims of the MV Nyerere passenger ferry capsizing are laid into graves during a mass burial ceremony on Ukara Island, Tanzania, Sunday, Sept. 23, 2018. 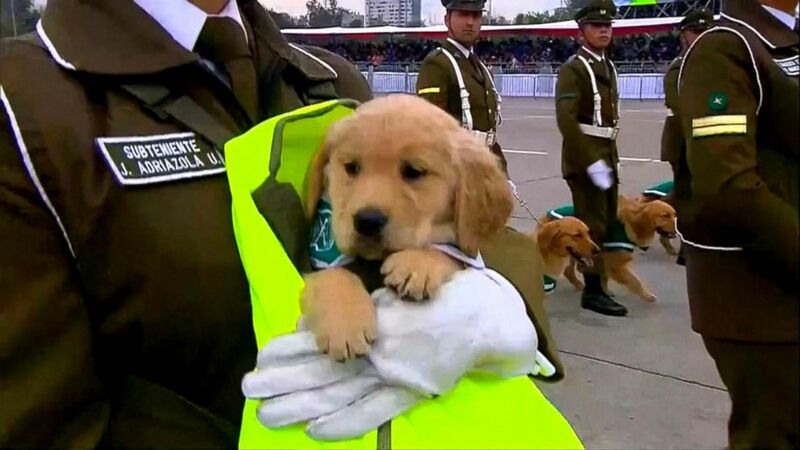 These 45-day-old golden retrievers are the newest members of the Chilean police department's canine training unit. The 45-day-old golden retrievers are the newest members of the national police's canine training unit.